NCCAM has spent more than $1.3 billion in grants and has nothing to show for it. From 1991 until his retirement on January 3, 2015, Iowa Sen. Tom Harkin (D-IA) was a main figure on the appropriations subcommittee in charge of the NIH. In 1992 Harkin slipped a line in the report accompanying the NIH appropriations bill that created the NIH Office of Alternative Medicine with $1 million in seed money. In 1999 President Clinton signed into law an appropriations bill that gave the OAM a new name--The National Center for Complementary and Alternative Medicine--and pumped up its budget to $50 million a year so it could establish a new National Center for Complementary and Alternative Medicine at Bastyr University, a naturopathic college outside of Seattle. * In 2013, this outfit became the National Center for Complementary and Integrative Health as mandated in the omnibus budget measure signed by President Obama. Unfortunately, the name changes do not represent progress. Rather they indicate the success of non-scientific and anti-scientific health practitioners in their effort to co-opt science-based medicine and drive the agenda of a branch of the NIH that never should have been established in the first place. What the name change represents is the continued insult to science-based medicine by telling the world that the NIH does not care what the scientific consensus is on any medical treatments. If enough people can be duped into thinking they can cure their cancer by sprinkling turmeric on their graviola then the NIH will give the dupers money to test the safety and efficacy of a treatment with zero plausibility. Swell. Harkin got the bug for alternative therapies when he came to believe that his hay fever had been cured by bee pollen. He and a few other political buddies wanted to fund research that would prove the effectiveness of bee pollen and other quackery. Iowa representative Berkeley Bedell believed that Anablast (created by a quack named Gaston Naessens; the stuff is also called "Naessens Serum") had cured his prostate cancer and that cow colostrum had cured his Lyme disease. Cow colostrum doesn't cure anything and Anablast is pure quackery. There is no evidence in the scientific literature that bee pollen cures allergies or has any beneficial effect. Worse, bee pollen can cause life-threatening allergic reactions in some people. Nevertheless, Harkin and the promoters of unproven practices wanted the NIH to find the science that would prove the benefits of specific treatments. However, the OAM's first director, Dr. Joseph Jacobs, was no lapdog. When the OAM couldn't come up with any good science for any so-called "alternative" treatment, Harkin attacked Jacobs in a public hearing. That was in June 1993. Harkin then "handpicked four alternative-medicine advocates" and had them appointed to the OAM's advisory board (Satel and Taranto: 1996). If real science wasn't going to get results, maybe pseudoscience would. Jacobs called the alt med advocates "Harkinites" and they soon attacked Jacobs for trying to set up proper scientific research centers. Such evidence-based research would be "hostile" to CAM, they said. The Harkinites won out. The OAM set up research centers at the University of Minnesota's Center for Addiction and Alternative Medicine Research and at Bastyr University. The Harkinites were so resistant to good science that Jacobs resigned in September 1994. "It's pathetic," he said. "They were so naive about science. I wouldn't trust anything coming out of the OAM as long as the Harkinites are micromanaging it" (Satel and Taranto: 1996). In 1993 the maker of the bee pollen capsules that "cured" Harkin—Royden Brown of the CC Pollen Co.—paid the Federal Trade Commission $200,000 in a consent decree "for making false claims about his product's curative powers" (Satel and Taranto: 1996). In 1995 Harkin crony Wayne Jonas, M.D., became director of the OAM. Jonas stayed until 1999. In 1996 Jonas co-authored Healing With Homeopathy: The Complete Guide. Two years later he co-authored Healing With Homeopathy: The Doctor's Guide. To his credit, Jonas wrote that the effectiveness of homeopathy might be due to the placebo effect. Since there aren't any active ingredients in homeopathic remedies, I'd say Jonas made a pretty good guess. In 2007, Bill Clinton referred to Sen. Harkin as "a great friend of scientific research." To be fair, Harkin has also been an advocate for the hearing impaired (his brother, Frank, was deaf) and some of the research he's supported (e.g., for cochlear implants) is evidence-based. Over the years, the NCCAM has given away more than $2.5 billion and has nothing to show for it. Belief in energy medicine and countless quack cures for cancer and other diseases has risen in disproportion to our increased knowledge and improved treatments thanks to science-based medicine. Do not expect things to change now that this monument to government waste is called the National Center for Complementary and Integrative Health. Click here to see a list of the kinds of things that are being studied in the name of CAM. Click here to see a list of ALL clinical trials supported by NCCAM/NCCIH. I don't have to be psychic to see the future: there will continue to be no scientific studies of cannabis, even though cannabinoids have more potential for benefiting the health of more people than spirituality, acupuncture, St. Johns Wort, and Ginkgo biloba combined. The center’s research priorities include the study of complementary approaches—such as spinal manipulation, meditation, and massage—to manage pain and other symptoms that are not always well-addressed by conventional treatments. The center’s research also encourages self-care methods that support healthier lifestyles and uncovers potential usefulness and safety issues of natural products. The practices and products studied by the center are prioritized by four guiding principles: scientific promise, amenability to be studied using the highest quality research methods, use by the American public, and the potential impact on public health. The implication is that science-based medicine is ignorant of "natural products" and doesn't encourage self-care or a healthy lifestyle. And shouldn't this agency be educating the American public rather than consulting the ignorant masses to determine what to do research on? Frankly, given the long history of this outfit, I do not believe these folks are telling the truth when they claim to use scientific promise as a guiding principle. Call it what you want, but this politicized branch of the NIH is more concerned with placating the quackophiles than it is with finding useful practices and products that would benefit the public. NIH Director Francis Collins disappoints once again as he claims: “Since its establishment 16 years ago, the center has funded thousands of important research projects. Without this work, the American public would lack vital information on the safety and effectiveness of many practices and products that are widely used and readily available.” It is not surprising that he doesn't mention a single successful research project that has provided us with any vital information except that none of this stuff works. Sounding like a true political appointee who wants to keep his job, Collins said “This change by Congress reflects the importance of studying the approaches to health and wellness that the public is using, often without the benefit of rigorous scientific study.” No, it doesn't reflect the importance of studying pointless remedies just because they are advocated by the likes of Mike Adams, Mehmet Oz, Andrew Weil, Joe Mercola, Webster Kehr, Max Gerson, Gary Schwartz, Nicholas Gonzalez, Kurt Donsbach, Ty Bollinger, Jerry Lee Hoover, Gaston Naessens, Tullio Simoncini, Paul Nison, Jeanne Drisko, Thomas Lodi, Phillip Day, Jon Barron, Matthias Rath, Robert O. Young, Russell Blaylock, Rashid Buttar, William Rader, and Brian Clement. [new] Reason TV made the video below showing Harkin's Folly in all its glory. * Other examples of politicization in the name of consumer protection include the action of Sen. Royal Copeland (1868-1938), a homeopath, who sponsored the 1938 Food, Drug, and Cosmetics Act that effectively exempts all homeopathic potions from FDA oversight; and Bill Clinton's appointment of James S. Gordon, M.D., to head the White House Commission on Complementary and Alternative Medicine Policy, which led to the 1994 Dietary Supplement and Health Education Act. This law "allows 'natural' substances to be marketed over-the-counter without proof of efficacy or purity as long as the maker doesn't promise to cure anything" (Park 2008: 177). In 1938, Sen. Royal Copeland of New York, the chief sponsor of the Food, Drug, and Cosmetic Act and a homeopathic physician, wrote into the law a recognition of any product listed in the Homeopathic Pharmacopeia of the United States. The Homeopathic Pharmacopeia includes a compilation of standards for source, composition and preparation of homeopathic drugs. FDA regulates homeopathic drugs in several significantly different ways from other drugs. Manufacturers of homeopathic drugs are deferred from submitting new drug applications to FDA. Their products are exempt from good manufacturing practice requirements related to expiration dating and from finished product testing for identity and strength. Homeopathic drugs in solid oral dosage form must have an imprint that identifies the manufacturer and indicates that the drug is homeopathic. The imprint on conventional products, unless specifically exempt, must identify the active ingredient and dosage strength as well as the manufacturer. "The reasoning behind [the difference] is that homeopathic products contain little or no active ingredients," explains Edward Miracco, a consumer safety officer with FDA's Center for Drug Evaluation and Research. "From a toxicity, poison-control standpoint, [the active ingredient and strength] was deemed to be unnecessary." Another difference involves alcohol. Conventional drugs for adults can contain no more than 10 percent alcohol, and the amount is even less for children's medications. But some homeopathic products contain much higher amounts because the agency has temporarily exempted these products from the alcohol limit rules. "Alcohol is an integral part of many homeopathic products," says Miracco. For this reason, the agency has decided to delay its decision concerning alcohol in homeopathic products while it reviews the necessity of high levels of alcohol. "Overall, the disparate treatment has been primarily based on the uniqueness of homeopathic products, the lack of any real concern over their safety because they have little or no pharmacologically active ingredients, and because of agency resources and priorities," explains Miracco. However, homeopathic products are not exempt from all FDA regulations. If a homeopathic drug claims to treat a serious disease such as cancer it can be sold by prescription only. Only products sold for so-called self-limiting conditions--colds, headaches, and other minor health problems that eventually go away on their own--can be sold without a prescription (over-the-counter). See also alternative medicine, complementary medicine, energy, frontier medicine, hidden persuaders, integrative medicine, holistic medicine, natural cancer cures, and Short and Irreverent E-dition, part 1, sCAM (so-called Complementary & Alternative Medicine). Sampson, Wallace and Lewis Vaughn. 2000. editors. 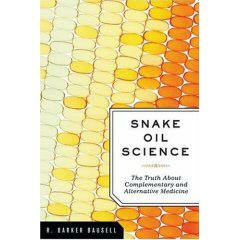 Science Meets Alternative Medicine: What the Evidence Says About Unconventional Treatments; Prometheus Books. 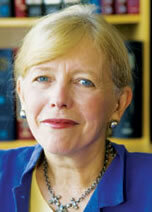 Satel, Sally M.D. and James Taranto. (1996). "The battle over alternative therapies," Sacramento Bee, January 3. First published in The New Republic. What’s in a name? : NCCAM tries to polish a turd by David Gorski, M.D. NIH Director Francis Collins doesn’t understand the problem with CAM by David Gorski: "I realize that “complementary and alternative medicine” (CAM) or, what quackademics like to call it now, “integrative medicine” (IM) is meant to refer to “integrating” alternative therapies into SBM or “complementing” SBM with a touch of the ol’ woo, but I could never manage to understand how “integrating” quackery with SBM would do anything but weaken the scientific foundation of medicine. Moreover, weakening those foundations would have more consequences than just “humanizing” medicine; weaker scientific standards would allow not just ancient quackery like traditional Chinese medicine (TCM) into academia, but it would also provide an opening for drug and device companies to promote their wares under less rigorous requirements for evidence." Culling Non-Science From Scarce Medical Resources by Eugenie V. Mielczarek and Brian Engle NCCAM has awarded $1.3 billion from 2000-2011. So far there have been no discoveries that would justify this waste of money. Vaccine Wars: the NCCAM Drops the Ball Published by Kimball Atwood at Science-Based Medicine If you go to the website of the National Center for Complementary and Alternative Medicine (NCCAM), you’ll find that one of its self-identified roles is to “provide information about CAM.” But the website has nothing about the anti-vaccination element at the heart of sCAM, much less any positive information on the proven efficacy and value of vaccines. Our Visit with NCCAM Steven Novella and two colleagues from Science-Based Medicine are invited by Josephine Briggs, the current director of the NCCAM, to a face-to-face meeting to discuss SBM's concerns about NCCAM. Novella gives us his take on the meeting. The Ongoing Problem with the National Center for Complementary and Alternative Medicine by Kimball C. Atwood IV, M.D. 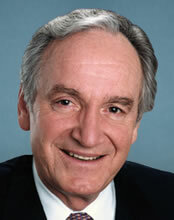 Sen. Tom Harkin (D-Herbalife) gets cash for institute after legislative favors. Patch details a recent infusion of funds to the Harkin Institute of Public Policy at Iowa State University in Ames. The gift (bribe?) pledged by Herbalife's chief lobbyist seems like chump change compared to other donors to Harkin's pet projects. In 1994, Harkin authored the Dietary Supplement Health and Education Act, which allows supplement makers to voluntarily test their products before they put them on the market. The U.S. Food and Drug Administration is allowed to intervene only after the product allegedly harms people. Hedge fund manager William Ackman calls Herbalife “the best-managed pyramid scheme in the history of the world.” Harkin has been helping Herbalife for decades and is expected to protect the company as it faces a federal investigation. The Wall Street Journal reported that the U.S. Securities and Exchange Commission has opened an investigation into the company. The company is also appealing a 2011 ruling by a European court designating Herbalife an illegal pyramid scheme. Federal center pays good money for suspect medicine by Trine Tsouderos, Chicago Tribune reporter "Thanks to a $374,000 taxpayer-funded grant, we now know that inhaling lemon and lavender scents doesn't do a lot for our ability to heal a wound. With $666,000 in federal research money, scientists examined whether distant prayer could heal AIDS. It could not." Troubled study at heart of therapy debate by Trine Tsouderos, Chicago Tribune reporter "With $30 million of taxpayer money, researchers set out to conduct one of the largest studies ever of an alternative medical treatment, a controversial therapy [chelation] for coronary artery disease. The project was marred with problems from beginning to end. Because the treatment was so out of step with mainstream medicine, it was difficult to find enough patients to take part. The researchers failed to inform the subjects that one risk of the treatment was death. In consent form documents, they made a confusing statement about the study drug, implying it was safer than it was." Energy healing sparks debate by Trine Tsouderos, Chicago Tribune reporter "Energy healers say they can detect and channel a "universal energy" and even manipulate this energy within another person. Science has not proved that this energy exists, that anybody can detect it or manipulate it, or that it has anything to do with disease. In fact, proving the existence of such energy would require a dramatic transformation in what is known about disease and how the human body works. Yet the National Center for Complementary and Alternative Medicine has funded studies of energy healing for everything from fibromyalgia (a $300,000 grant) to prostate cancer (a $370,000 grant) to rats stressed out by white noise (a $370,000 grant)." Alternative therapy use documented in new survey "Nearly 40% of adults and 12% of children in the U.S. use herbal supplements, meditation, chiropractic services or acupuncture....nearly 18% of adults reported using fish oil/omega 3 DHA, glucosamine, echinacea, flaxseed oil or pills and ginseng. Nearly 13% practiced deep breathing exercises, more than 9% meditated, nearly 9% used chiropractic or osteopathic manipulation, 8% received massages and 6% practiced yoga." "Comparison of the data from the 2002 and 2007 surveys suggests that overall use of CAM among adults has remained relatively steady—36 percent in 2002 and 38 percent in 2007.....Adult use of CAM therapies for head or chest colds showed a marked decrease from 2002 to 2007 (9.5 percent in 2002 to 2.0 percent in 2007)." See NCCAM press release.